Yellowstone is a majestic park that gets millions of visitors each year. In 2016 they had over 4,000,000 visitors. One could say that it is a national treasure and no one can argue with that. With all of the visitors each year that come flocking by the herds a shortage of places to stay can be a big issue. The park is approximately 3,500 square miles and has 310 miles of paved roads available for tourists to travel on and see the majestic landscape and wildlife. It is located in the 3 States of Idaho, Montana and Wyoming. During the busy summer season hotel rooms go for a premium since so many visitors come flocking from all over the world and a lot can afford the really expensive rooms. The only thing I don’t like about staying in a hotel room is that you can go only so far from your hotel unless you want to spend the whole day in your car. Or you have to plan your whole trip by going from hotel to hotel which takes a lot of planning. The best way to see the park is by RV. Yellowstone RV Rentals is the way to go. 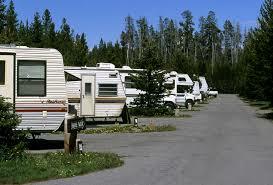 The park has approximately 2000 campgrounds so you will have no shortage of campgrounds. You will have to do a little planning ahead of time but there is no way of avoiding that no matter what you do. If you are like most people you don’t own an RV. That means you have to rent which is a great way to go. For renting you have a few different options. This is not a bad solution either. I typically say who wants to be a traveling billboard for the company because they have their name and phone number plastered all over the RV but you are traveling amongst a bunch of tourists in Yellowstone so nobody really cares. The draw back is that most people know about Crusie America so they tend to be a little pricey and they rent out fast. Overall its a very good way to travel. This is my least favorite of the three options but still a viable one. There are dealerships out there that rent RVs to people. They tend to be a little expensive and they usually rent them out fast because most people think about trying to find a place or dealership to rent RVs from. Another issue with it is that you are at the mercy of the dealerships hours of operation. This is still a good way to go and I would consider this if I found a good place with good prices. 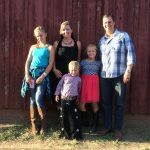 You have options when renting an RV in Yellowstone with the peer to peer rentals being my favorite. So go to Yellowstone and see all the amazing stuff to see.